For the past 20 years, Wunderlich has provided a broad offering of wealth management, equity research and investment banking services to individuals, corporations and institutions. In 2010, Inc. Magazine listed the company as one of the fastest growing private companies, a distinction repeated again in 2011, 2012 and 2013 as the firm continued to chart steady growth across all divisions. Since 1996, Wunderlich’s growth has experienced bursts of acceleration and currently the company is opening new sales and investment banking offices in targeted cities across the U.S to reflect the steady growth. As a 24/7 operation, it is absolutely necessary for the company to have reliable and consistent communications solutions in place. Lack of quick and cost-effective telecom technology so that new offices can open and start operating quickly, based on recruitment needs for brokers (ideally within a 72-hour time frame). Offices located in 30 cities nationwide, with phone systems split between four different carriers and broadband spread over six different carriers. Needed to improve functionality and reliable backup circuits, while minimizing costs, for a 24/7 operation. When MetTel deployed VoIP solutions for Wunderlich in 2012, the first and most significant benefit was the company’s ability to open small offices quickly and at a low-cost. Rather than installing phone systems or leasing phone systems, Wunderlich maintains their own phone numbers and systems through VoIP. Wunderlich modernized their communication systems by adding SD-WAN to their services. With SD-WAN’s increased functionality, reliable backup circuits, and a set-up time of less than a week, Wunderlich’s IT team didn’t have to worry about downtime or dropped calls interfering with their ability to solve customer issues. 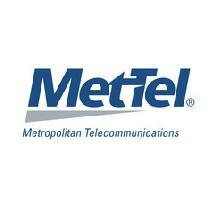 Before using MetTel’s VoIP solutions, Wunderlich was on a TTL system. The company had to install phones through Nortel at each office site, pay for the switch, the engineer to come in and install the system, and for the phones. “Now,” Heimerl explains, “there isn’t such a big outlay of cost.” Working with MetTel saves Wunderlich, upon opening each new office, $35,000 upfront on hardware costs and an additional $800-900 per month. One of the best parts of working with MetTel, according to Heimerl is that MetTel aggregates different LECs together on their network and manages the relationship. LEC refers to Local Exchange Carrier, meaning, the carrier that services a particular area. “With previous telecommunications providers, we could not get access to all the LECs we needed. MetTel on the other hand has strong carrier relations with Network to Network Interface (NNI) to all Tier 1 carriers and provided us circuits from all the carriers we needed,” states Heimerl. In addition to strong carrier relations, Heimerl describes Wunderlich’s relationship with MetTel as “best-of-breed,” as another great benefit of working with MetTel is having access to MetTel engineers. This “abnormal” personal relationship allows Wunderlich to scale quickly and economically, for instance, by cutting down on installation errors that would result if Wunderlich didn’t have direct access to MetTel’s knowledgeable engineers. Installed a VoIP solution, creating a cost-effective way to open up small offices quickly and at a low cost, saving $35,000 upfront on hardware costs. Deployed and activated SD-WAN infrastructure in less than one week, providing increased functionality and reliable backup while still saving the company up to $900 per month.